This is a very creative approach by the advertiser. Traditional 2D billboards doesn’t capture the audience anymore considering the fact that billboards are can be found at almost every corner of the city. 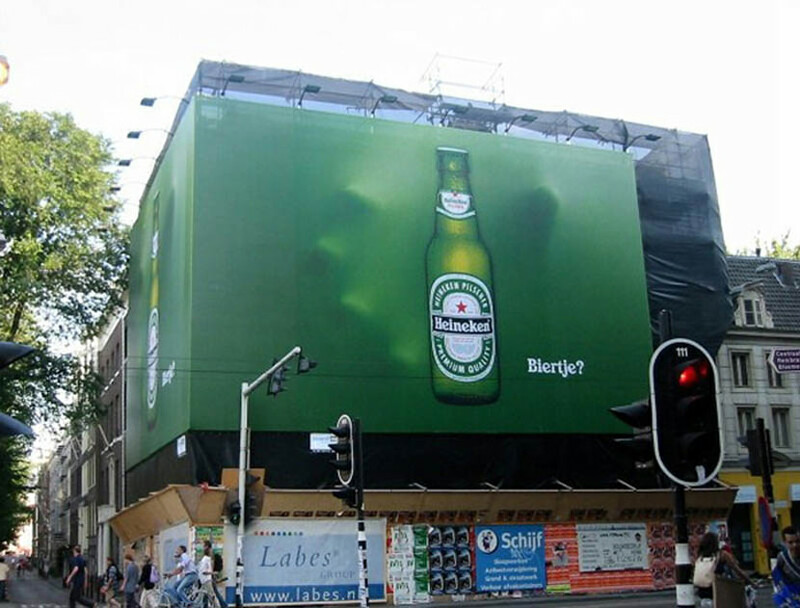 This outdoor campaign from Heineken is an example of how an innovative idea can have a huge impact in a traditional approach. What would have made the Heineken ad more attractive and appealing is to have the bottles pouring into a “frosted mug” centered on the corner. On a flat services a perspective view would work. Just a thought on a hot summer day or after a workout..